Bournemouth forward Jermain Defoe has agreed personal terms with Rangers and is set to join on an 18-month loan deal, according to Sky sources. The Premier League club are understood to have two recall options - this summer and in January 2020. The 36-year-old has 57 England caps and is in the top 10 goalscorers in Premier League history, but he has yet to start a league game for Bournemouth this season. He is now set to add to the competition for places up front at Rangers, who are in position to contend for the Scottish Premiership title, and are managed by Defoe's former England team-mate Steven Gerrard. A 1-0 win over Celtic at the weekend took Gerrard's squad level with on points with their Glasgow rivals at the top of the table, although the Hoops have a game in hand. 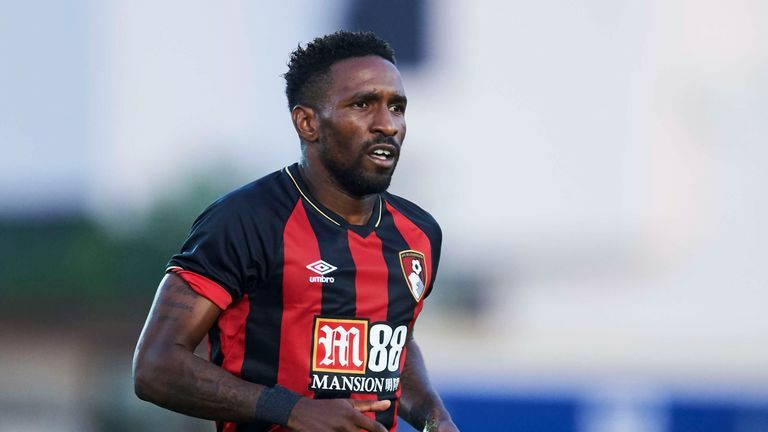 Defoe joined the Cherries in the summer of 2017, having had previous Premier League stints with West Ham, Tottenham, Portsmouth and Sunderland. Dharmesh Sheth of Sky Sports News said on Thursday evening: "I spoke to him very briefly earlier and he is well aware that he could become a huge hero at Rangers. "There is still work to be done on the deal, but he is very excited. "Imagine if he scores the goals that fire Rangers to the Scottish Premiership title. "Celtic will have plenty to say about that, I am sure, but what a story for Rangers, what a story for Jermain Defoe and what a story for football in Scotland."